Looks like we’ve got a heated debate on our hands here at Jobacle! I’d like to take a moment to address our loyal readers and the thousands of new people that have joined us over the past few days. – The Resume Hunter is not designed to be mean-spirited. The honest-to-God goal is to actually HELP people learn from common (and public) mistakes. I never anticipated this volume of negative feedback. At this time I do not plan to pull the feature. In fact, we have another one hitting the Web next week (so subscribe!). 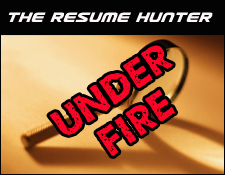 The Resume Hunter is a new twist on dishing out useful information. It would be easy for us to give you the same tired advice that all of those HotMonsterBuilder sites deliver. That’s not what Jobacle is about. Since out launch in January 2007 the feedback has been overwhelmingly positive, a clear indicator that we are on to something big. That being said, we will continue to assess your comments and e-mails and adjust content accordingly. – Public resumes that are used are uploaded by the resume writer to public Web sites such as Scribd, DocStoc, etc. These are people who CHOOSE to release their resume for the world to see. When you upload documents to these sites you have the option to keep your doc private – something that each person we’ve profiled has NOT done. We respect job seekers privacy. We would never divulge information from anyone who wished to remain anonymous. – Several people have pointed out that ‘how dare’ we ‘criticize’ other people’s resumes when there are ‘typos’ and ‘grammatical errors’ on Jobacle. First off, we take pride in what we do and are confident that the quality of our content speaks for itself. As far as errors are concerned, they are a fact of life, and anyone who doesn’t get that, is a fool. The New York Times makes errors. Jobacle makes errors (there are probably some in this post.) You make errors. We highly doubt that the misuse of a semicolon will drive readers away. 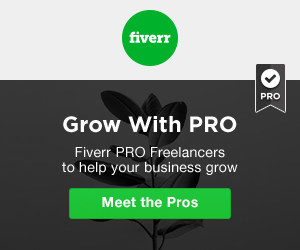 If it bothers you that much, this site isn’t for you anyhow. You might not like the feature, however, in this instance, you are 100% incorrect. We will not honor these idiotic comments with a response. As of this writing, the so-called offensive installment of the Resume Hunter has hit the 30-comment mark – a Jobacle record. We thank everyone for checking out the Web site and taking the time to speak your mind. We sincerely hope you’ll continue to read us (and listen) in the future. Many people are leaving anonymous comments. If you are interested in debating this issue on a future episode of the Working Podcast, leave me a message (or your rant) at 888/786-1080.